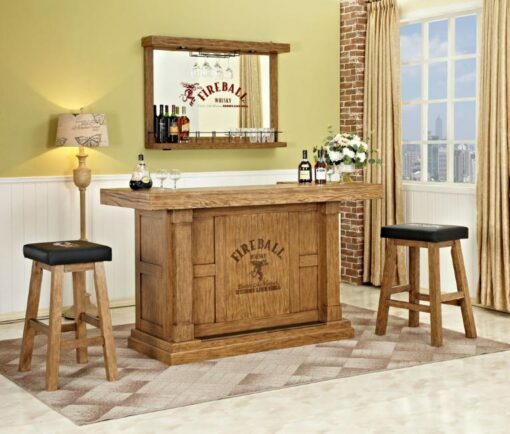 Fire Ball rustic oak portable bar. 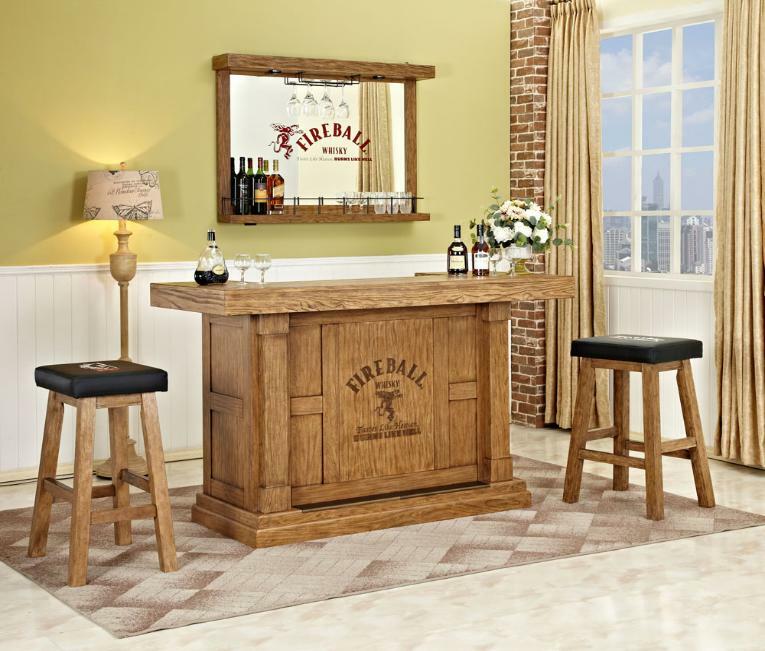 Relax with a Fireball cocktail in a licensed Fireball bar and stool. Heavily distressed wood captures the old pub feel. Bar includes laminate bartending working surface, large stainless steel sink, 2 condiment trays and an adjustable shelf. 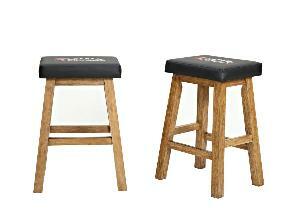 Matching comfortable bonded leather saddle stool and wall bar with stemware holder and LED lighting.